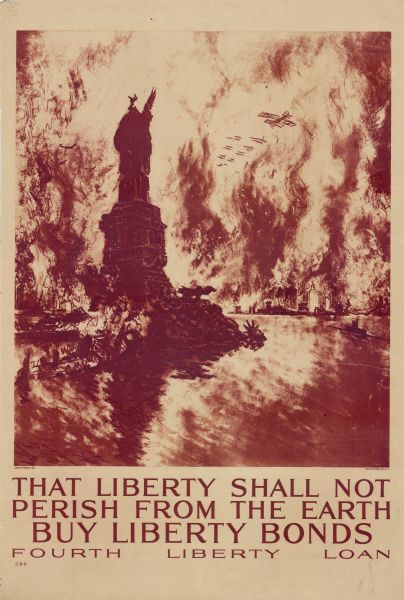 United States government bonds poster in the Fourth Liberty Loan "B" series. "Buy Liberty Bonds. Fourth Liberty Loan." Depicts enemy aircraft bombing New York, which is in flames. In the foreground, the Statue of Liberty has been attacked and its head has been severed. Illustration by Joseph Pennell. Number 2-B-B in a series.